Chem Process’ Spray Evaporator Crystallizer is a direct contact heat and mass transfer system which works similar to the principle of the induced draft cooling tower. These are for specific purpose sort of crystallization units and stand apart due to their unique operational philosophy, often referred as the granulation and prilling process. These type of crystallizers are generally utilized in the fertilizer segments where the most important aspect of this process is to lower the moisture content and improve the flow-ability of the very fine submicron particles. 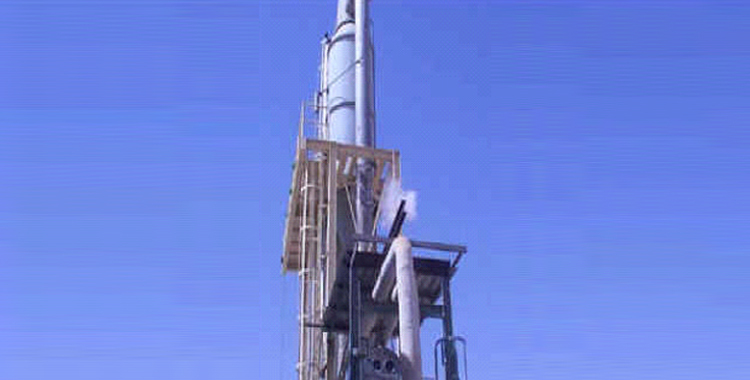 The warm process slurry is sprayed against an ambient air stream, which is humidified through the removal of water from the spray and the sprayed liquid is cooled and concentrated. 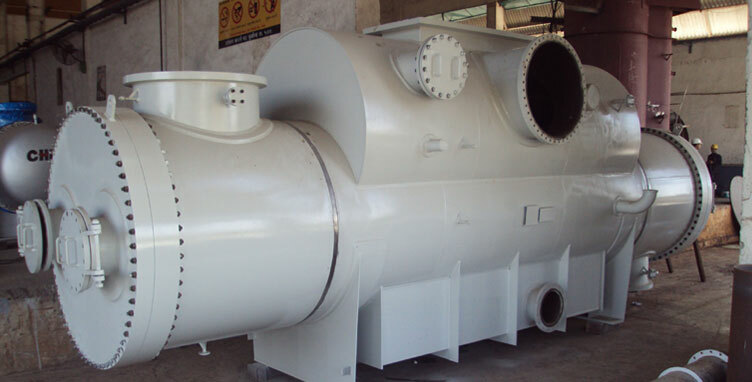 For increasing the evaporation rate, an external heat exchanger is utilized by adding energy to the recalculating slurry. This is a tall column in range of 30 m height and around 6 m diameter, where a typical saturated slurry with low water content is sprayed from the top of the tower, and a very high temperature air is blown from the bottom of the tower. The droplets drop concurrently and gather the heat while travelling down and get dried to acceptable moisture level or water content.